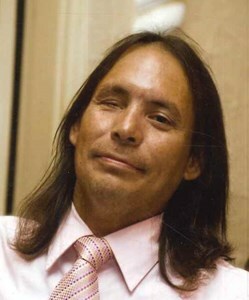 Newcomer Family Obituaries - Warren S. 'Hawkeye' Nelson, Sr. 1964 - 2019 - Newcomer Cremations, Funerals & Receptions. Warren S. "Hawkeye" Nelson, Sr.
Warren S. "Hawkeye" Nelson, age 54, of Toledo, passed away March 3, 2019 at Ebeid Hospice Residence. Hawk was born December 18, 1964 in Rockford, IL to Wallace and Mary (Munoz) Nelson. He was employed with Caps Cleaning. He was a avid sports fan, his favorite teams included Pittsburgh Steelers, Notre Dame and Cleveland Cavilers. He enjoyed being outdoors and spending time with his buddy Zyler. Hawk is preceded in death by his father and brother Jeff. He is survived by his wife, Cheryl A. Nelson, mother, Mary Nelson, sons, Scott Nelson and Ryan Fry, step-sons, Nicholas (Brandi Giles) Digby and Dylan Digby, siblings, Norma (Richard) Dunn, Donna (Josh) Westmark, Brad (Melinda) Nelson, Paula (Milton) Williams, Michael Nelson, Paul (Shawn) Nelson; two grandsons and many nieces and nephews. The family will receive guests Saturday, March 23, 2019 from 2:00 pm - 4:00 pm at Newcomer - Northwest Chapel, 4150 W. Laskey Rd. (419-473-0300). Funeral Services will begin Saturday at 4:00 pm. at the funeral home. Add your memories to the guest book of Warren Nelson, Sr..
Haweye will be missed by the carriers of the post office at west toledo. I always looked forward to see what Hawkeye was up to every day when I was on that route. He had some great interesting stories that made me laugh and wonder a lot lol. I'm sorry for your loss Cindy may God wrap his arms around Hawkeye and bless him. Through the different seasons of life peacewithGod.net has been a source of hope & inspiration and we thoughtfully share. Earth has no sorrows that Heaven cannot heal. To Hawk’s loved ones, I’m so sorry for your loss. I can only imagine how you must feel. I have found comfort in scriptures like Job 14:14,15 which remind me that God cares so deeply for us that he yearns for the day when he will bring us back to life on earth (John 5:28, 29). These words fill me with the hope of seeing again the ones that I have lost. I hope that these words bring you comfort as well. There's so much where do I start by saying I love you Dad miss u with all my heart and soul. The memories that I would cherish would be; I remember us hanging out in the garage which was your shrine basically but hanging out with you talking about sports an which team was better the Pittsburgh Steelers or Dallas Cowboys we would go back and forth with that conversation but to be honest I agree with you Dad they are the best.Dad showing pictures of the family(The Nelson's) an pictures of us when I was just a baby & Dad holding me. As the minutes passed we decided to build a hammock which took us a little bit just because we love spending time together doing things as father and son we successfully finish building the hammock and putting it up me and Dad set in it and fell asleep the whole night till the next morning I love u Dad ????????... Memories is all I have left now of u Dad wish I could have more memories with you and more time love you with all my heart and soul.. Rest In Peace Warren Scott Nelson Sr. (Dad) I will forever miss you you are the Best Dad I could ever ask for or ever want. I wish so many things in this world but if one wish could come true I'd wish to have you back I miss u Dad.. Your Son; Warren Scott Nelson Jr.
also a fast runner like myself. A class mate at Mason Schools Erie Michigan. So sorry to hear that he has passed . Rest in peace and god bless. I am so sorry to hear of your family's loss. Losing a loved one in death is one of the hardest things we ever have to face. May the God of all comfort prove to be with you during this difficult time (2 Corinthians 1:3,4). My father Henry Munoz and Warren's mom are brothers and sisters in a very large family. Dad and Warren's dad, my Uncle Wally, we're birds of a feather. The Nelson family would come from either OH, CA, AZ or anywhere else and stop by our home for a short stay. At the time I was the only son to my parents so when company came the house filled with all sorts of noises, laughter, conversations and lots of giggles. Warren was all of 4 or 5 when I met him. To say he was full of energy would be an understatement. It was him and him alone that would fill the house with his heart melting giggles. Tia Lena would say, wait a minute Fela, my mom, and yell Warren, come here honey. Out of a closet or under a bed or from behind a door came this bubbly body and that ubiquitous giggle. The giggle that had us wondering what he was up to but always had us either smiling from ear to ear or laughing til our sides hurt. Ah, couson, we, I, lost track of you and your antics but always knew you were up to some thing good. Say hello to our loved ones for us. Warren, even if it was a short time, thank you for sharing your life with us. Primo Joel. After an accident caused me to be in a medically-induced coma, Warren fought his way in through security to check on me, because he said I was his sister. My family told me about how much that meant to them, but it meant even more to me. I love the fact that no matter how much time we were apart he still thought of me as family and he was my family. May he find peace in the loving arms of God. we grew up many years ago togather even had the pleasure of haveing a few cold ones together as we became older. you were always in hi hopes on life and fun to be around. you will be missed . rip my brother . This guy was truly inspiring and a one of a kind individual. I was fortunate to have worked alongside him at Cap’s and even more fortunate to enjoy a few brews with a little black velvet on the porch after a long days work. Regardless of the situation, Hawk always kept a positive, loyal, and upbeat attitude. I only wish I could grow hair like that! All the best to you, one lucky gal, Cheryl. Cheryl is a friend of mine. We taught at Whittier together. I’m so sorry that she is suffering such a loss, especially since she just lost her mother two months ago. I pray for her to find peace! Memories..I wouldn't even know where to start..So many good times and lots of laughs..My heart goes out to all of you.. Hawkeye was definitely one of a kind! Hawk was a freind and a valued employee of Caps cleaning., he “most” (lol) of the time, was fun to work with. I admired his tenaciousness to always get to my house for work every morning. Come rain nor sleet nor snow or cold, this guy would show up, with his 3.5 mile bike ride behind him. He made me laugh. He will be dearly missed.